Love so many things about this case that definitely makes it worth the price. This is a solid case with a professional-looking finish. The closure strap is magnetized in both the open and closed position. This feature allows the strap to be folded back out of the way which is a very nice feature. Would definitely recommend. 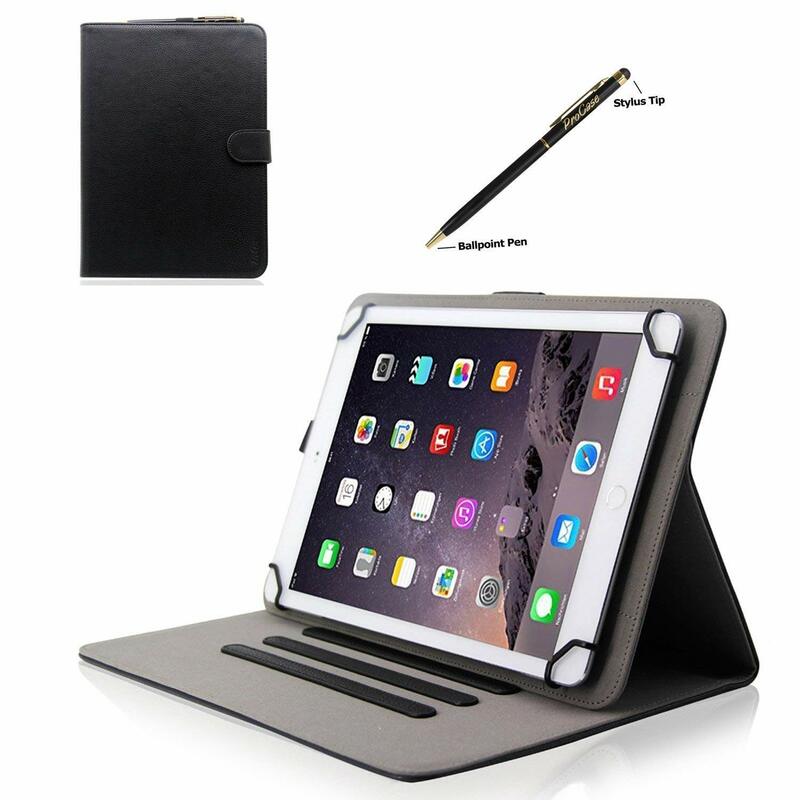 The case allows for multiple screen viewing positions and when closed, it stays closed via the magnetic flap. There is also a holder for the included ballpoint pen with a stylus tip at the other end. Because it is a Universal case, there is no opening for the camera lens so if you will need to remove the case to use the camera. 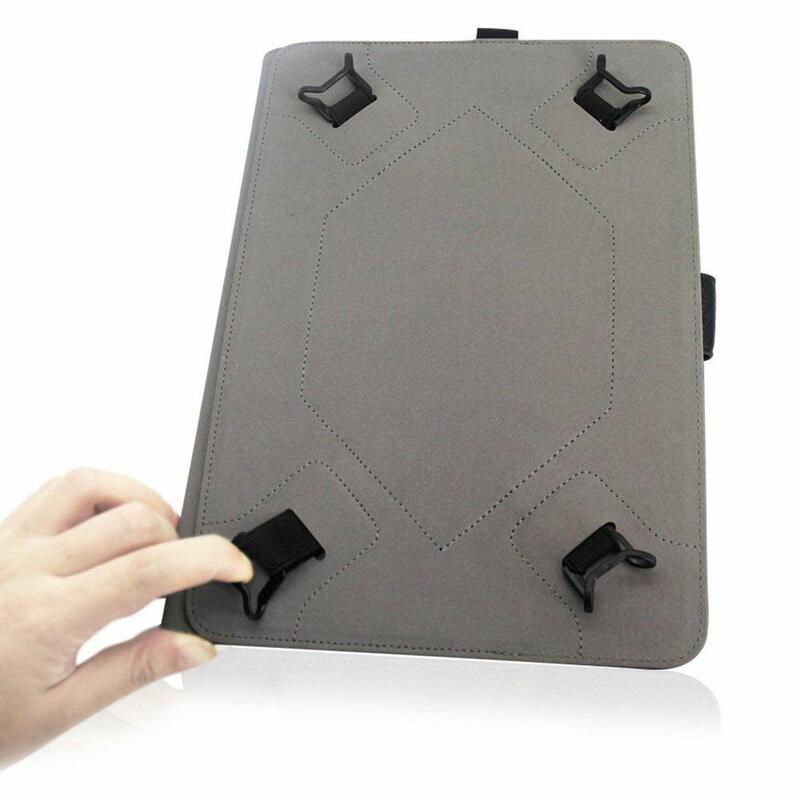 Since there is no Universal tablet design, you would have to have a case with umpteen holes in the back in hopes your lens would show through one of them. Since I use the phone on my camera, this is not an issue for me. 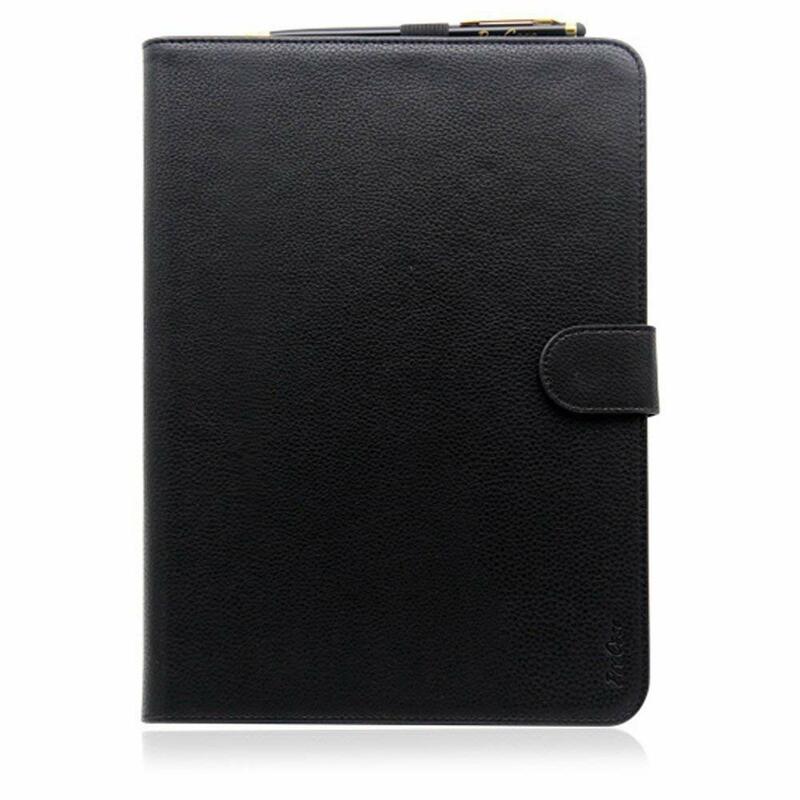 I feel this is a good tablet case with a fair price. This is an amazing case. Have a Lenovo Tab 10 10.1" tablet which we were having great difficulty finding a case to fit and not cover the power buttons or earphone jack (they don't make a case specific for this tablet). Bought this case and crossed my fingers. It fit perfect. Love it. Fits the Acer Iconia One 10 B3-A40. No camera cut out, but that is fine with me. Does not fall over, very stable. This is basically a new tablet this year, I had a hard time finding covers for this. I actually bought one specifically for the Acer Iconia One that had a rotating thing in the back of it, but I caused the tablet to fall down, didn't stay up, not very stable design. 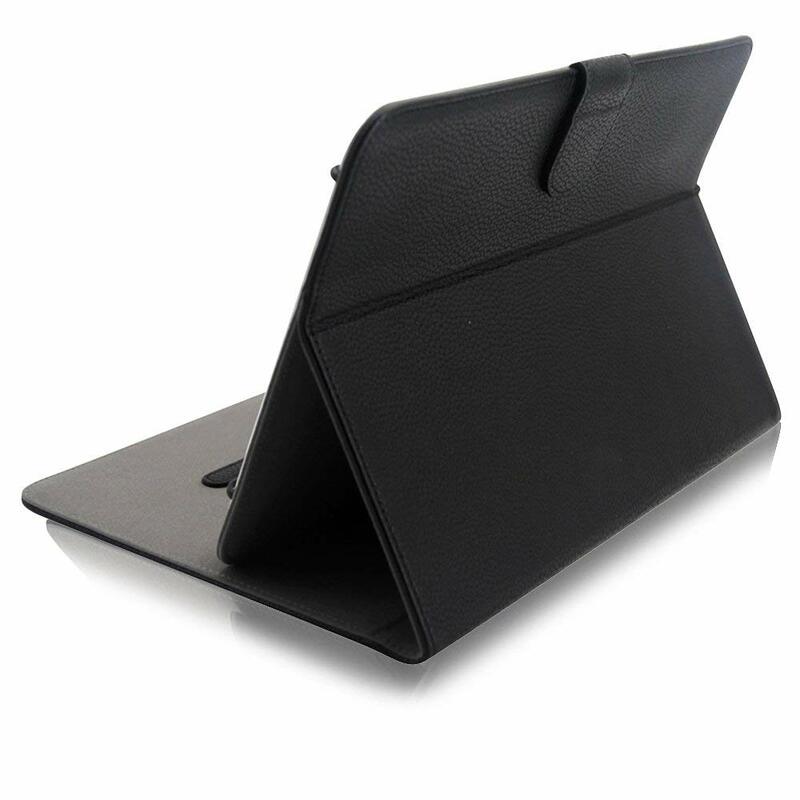 The folio holds my IPad very firmly in the case and also while postitioned upright. Case seems a bit less than robust, but so far it is performing well. The exterior looks like leather and the magnetic clasp works well.